Countless millions of people suffer from snoring. A comparable number suffer because of the snoring from which the first group suffers. Snoring aids can be the solution to reduce snoring, but folk remedies abound with suggestions on how to prevent it, from clarified butter to chamomile tea. Here are ten solutions to the problem of snoring based on the best that innovative technologies have to offer. …but before that, what causes snoring? As you sleep, the muscles around your throat and tongue relax. When they relax, they can sometimes block the air passage. Blockage of the nasal cavity can also restrict airflow. Overall, air passage blockage causes vibrations as the air struggles to get to your lungs. These vibrations produce sounds. These sounds are what we call snoring. Anti-snoring devices are designed to either allow better airflow or drown out the sounds altogether. It was only a matter of time before Silicon Valley caught up with one of mankind’s most persistent problems throughout the ages: the snoring partner. Of course, our own snores do not wake us up, but if you have ever slept beside a heavy snorer, you know the seething anger and exhaustion that often result. Not to mention potential breakups. Enter: Silent Partner. Through an Indiegogo campaign that was intended to achieve $40,000 USD but ended up netting over $700,000, this bright-eyed start-up brought the world its smart patch. The technology is a wearable that the non-snoring party wears before going to bed. The device does not stop snoring but cancels out the sound of it. The Indiegogo campaign had backers from 65 countries, attesting to the idea’s universal appeal. How does it work? It uses sub-wavelength technology, but how many of us really care? You put the thing on your face and enjoy a good night’s rest. Period. In the process, you could end up saving your relationship. Now, not all of us may be in love with the idea of having some plastic contraption laying ever so gently on the bridge of the nose and on our cheeks as we sleep, but consider the alternative. As suggested by the name, this is a device that is simple, pleasant to sleep beside and infinitely caring. Nora is a non-invasive, keep-the-electronics-away-from-my-head sort of device that works ingeniously. To recall, when we snore, what happens is our throats constrict and air has a hard time flowing in. The vibrations that result are heard as snoring. Tilting your head in certain directions can help reduce the snore by letting air in easier. Of course, most of us lack the willpower to tilt our heads to specific degrees as we sleep. What Nora does is tilt your head for you, silently and gently, using a soft padded insert that you place under your pillow. The insert is made of soft material so you can use any pillow and move around as much as you want. In addition to the insert, there is a mini pump placed under the bed that inflates and deflates the insert. Rounding out the items is an egg-shaped receiver that picks up on your snoring. The receiver can be placed anywhere near the bed. The receiver hears the snore coming (at levels undetectable to human ears) and sends a signal to the pump, which deflates or inflates the insert accordingly. Nora allows users to breathe naturally and reduces the volume and repetition of snoring. Nora comes in a bag with a rechargeable battery, making it portable. Naturally, you would expect a pillow on this list. It has already been shown that what pillow you use may influence how much you snore, or if you snore at all. An ideal solution to snoring would, therefore, be to use another kind of pillow. But what kind of pillow would best prevent your snore? How would you even determine such a thing? The trick is quite simple. If snoring is the result of a constricted air passage, then you can reduce it by straightening the passage. Straightening the passage involves keeping the head and neck in the right position, usually straight. This is the basis of the anti-snore pillow. There are many anti-snore pillows available to choose from, and many fit into standard pillowcases. The standard anti-snore pillow should come with a slightly indented center and elevated base edge. This will raise the chin, which will keep the jaw open and slightly forward. This, in turn, will ensure air flows freely. The anti-snore pillow is part of a large class of orthopedic pillows which align the body in some way based on what the user needs. Orthopedic pillows can help with blood circulation, insomnia, neck pain and other ailments. One of the original anti-snoring devices, the nasal strip, works on a simple principle: open up the nasal passage so that more air gets in. One of the causes of restricted airflow near the throat is a lack of sufficient air coming in through the nose in the first place. A cold or allergies may cause blockage in the nasal cavity. The nasal strip lifts and opens the nasal passage to reduce snoring. Of the brands available, Breathe Right is among the more trusted. For those who are on the receiving end of the snore, Breathe Right even suggests some techniques to help them make it through the crisis. Getting to bed early, using a white noise maker, giving your partners a little nudge to get them to sleep on their backs instead of their stomachs and slimming down are some of the things they suggest. The SnoreRX mouthpiece is a somewhat-invasive device for reducing snoring. It works like the anti-snore pillow in principle – its main goal is to reposition the jaw. The mouthpiece is FDA approved for use in snore reduction and comes custom fitted to the user. It is made of a safe copolymer that causes minimal discomfort once it is in place. The device can move the lower jaw forward in increments of 1 mm, providing for precise adjustment. The combination of precision and non-metallic material makes the SnoreRX competitive with non-invasive tools. It is guaranteed to work for 30 days at least without fault, during which you can receive a full refund should you have any problems. Several doctors and dental professionals stand behind this oral appliance. Another Indiegogo-funded wearable on this list, the Sleep.ai wearable is the culmination of yet more focused thought on the perennially thorny problem of nocturnal throat vibrations. This device is notable for its ability to relieve that other demon of the night, bruxism, or teeth-grinding. The concept behind the Sleep.ai wearable is similar to Nora. Most people who snore do so when they are sleeping on their backs. When the associated app (Do I Snore or Grind, available on Android and iOS) senses a snore coming, it sends a signal to the wearable, which you place around your arm. The arm wearable vibrates, causing you to shift to sleeping on your side, thereby reducing snoring. The arousal is also supposed to stop teeth grinding on the assumption that biofeedback can be used to help the grinding stop. One immediate question you may have is how the person wearing the device knows to turn over. It could also be quite annoying to be nudged numerous times a night with pressure on your arm. Aside from these concerns, the Sleep.ai wearable is a genuinely innovative device that may work for some people. Popular in the Philippines, the Fotona NightLase Machine is unlike any other item on this list. It is the only kind of-dermatological option available for snoring. Using a laser, the machine tightens the collagen in the oral mucosa tissue (the inside of your mouth). Ideally, what this does is prevent the tissue from relaxing too much, so that air can flow freely and you can get a good night’s rest. Brought to you by skincare company Luminisce Holistic Innovations, the Fotona NightLase is likely to have its share of retractors. Much like the plastic mandible featured in in item number 5 above, there is a sense of invasion involved. Does it work? You would have to go to the Philippines to find out because that is the only place the service is offered. One positive of the NightLase is that it only takes three 15-minute treatments over the span of two months to get the best results. The machine helps not only with snoring but with sleep apnea as well. Sleep apnea is what happens when the body does not get enough oxygen as you sleep. The My Snoring Solution Chin Strap looks like something a college football player from the ‘40s might wear under his helmet. It is worn as the name implies, with extensions behind and in front of the ear which meet at the chin. The basic premise behind this invention is the muscles in your throat can soften and restrict airflow as you sleep, blocking the air passage. In extreme cases, sleep apnea may result. The chin strap keeps the lower jaw in place, thereby keeping the passage open. It can be adjusted to fit any shape or size of the head. Studies conducted with the chin strap have shown that it leads to reduced episodes of sleep apnea, reduced snore count and, incidentally, lower blood pressure in the morning. Snoreless sleep is better sleep overall. The chin strap is relatively lightweight, and after a few nights, it becomes unnoticeable. You can get a replacement in the first 90 days if the one you bought does not fit. Just trying to pronounce that one can be sleep-inducing. The CPAP device has been in use for some time. The insight here is that if you use a machine to help yourself breathe as you sleep, you can prevent snoring and sleep apnea. Typically, this involves placing a mask over your nose and mouth or just your nose. The machine increases the air pressure in your throat, forcing the air to your lungs. The Airing device takes it a bit further by getting rid of the masks, cords, and hoses. It is a small device with two prongs that is placed in the nostrils. It essentially forces air through the nose at a higher speed, getting past any restrictions up ahead. CPAP, in general, has traditionally been very effective in helping people with sleep apnea. In fact, it is the most effective non-surgical treatment for the condition. It is also the most commonly used. Of course, it also provides anti-snoring effects for those who just want to stop snoring. In the absolute worst case scenario where your snoring is a physical and/or psychological risk to yourself or others, you can consider surgery. You should also consider surgery in cases of extreme sleep apnea. Sleep apnea has been linked to memory impairment, cardiovascular disease, high blood pressure, weight gain, and headaches. Which surgery you get depends on what you want to do. There are some that remove excess tissue from the throat (in some cases maybe even the tonsils and adenoids), while others involve correcting the septum (in your nasal cavity). Some surgeries are designed to reposition tiny bones in the upper airway, and some are used to insert plastic cylinders in the soft palate to strengthen it. Many of the surgeries come with long, foreboding names, like uvulopalatopharyngoplasty and radiofrequency palatoplasty, but do not be put off. If your snoring is serious and all else has failed, these simple surgeries could cure you. 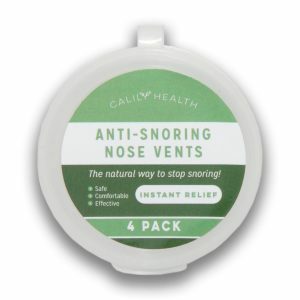 With all these great products to choose from, snoring should no longer be a problem in your household. There are both non-invasive and somewhat-invasive selections on offer. Some use wavelengths, others head-tilting. Some are more expensive than others. Whatever you choose, there is no better judge of the efficacy of a product than your morning self.